February is the month we focus on beauty products in the Organize Now Challenge. If you have not already joined our Facebook community be sure to join today, it’s free! You can also follow along for organizing ideas on Instagram. I challenge you to eliminate, consolidate or donate all of the beauty products that you have not used within the past year. Include the products you have used but do not like. It is important to gather up ALL of your beauty products so that you can really see how much you have. Many times we keep these products separate “homes” all over the house and we never realize how much we actually own! Eliminate everything that is expired or empty. Trash makeup that is broken. Toss products that are old, dirty and not beneficial to anyone else. Consolidate any products that are the same but opened more than once. I realize it is not possible to consolidate products like makeup. But it is possible to consolidate products like shampoo. You do not need 10 bottles of shampoo and conditioner open in the shower! You can also store similar products out of the way until you finish up what you are currently using. For example, keep them in a container in a closet. Donate: give away the products you know you don’t like or will never use up. If you tried a new eyeshadow and it doesn’t look good on you give it away! If that hair product doesn’t work with your hair, give it away! I don’t care how much it cost you. If you are not going to use it don’t waste the space. To encourage people to donate the items they no longer love or use in their home we have launched Local Give as part of our ministry programs this year. Our mission with Local Give it so clear the “clutter” from your home and put it into the hands of those that need it the most! We have a list of non-profit organizations that need your help! If you know of an organization that should be added to this directory PLEASE tell us about it so that we can help as many nonprofits as possible. Organize the rest of your products in a way that will maximize use. This is important because if you can’t see what you have you won’t use it. I also highly encourage you to go on a SPENDING FREEZE if you have too many beauty products. By challenging yourself to use up what you have before you buy more you will gain space and make it easier to get ready. Don’t forget to wipe everything down when you are organizing. This will give you a fresh clean slate. Good luck! 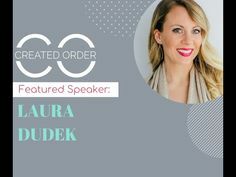 Come to the Created Order Conference and spend the weekend with me and 6 other amazing speakers! 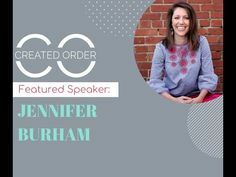 I will teach you how to get organized AND live with more intention. 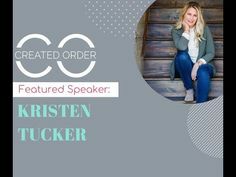 Check out my book series Organize Now! It is full of step-by-step checklists. For visual ideas on how to organize your beauty products and other items follow me on Instagram and Facebook. 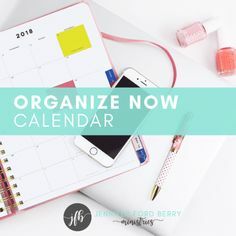 Don’t forget to show off your organized products or your donate pile in a post with #organizenowchallenge so I can see your progress!